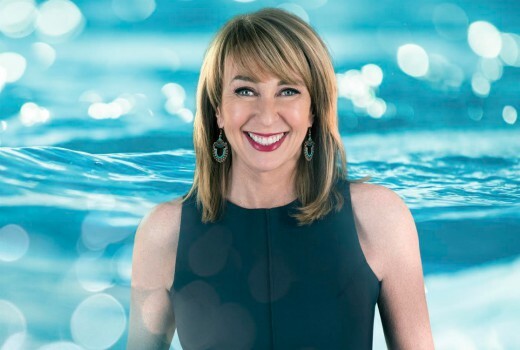 Maeve O’Meara returns with long-running SBS foodie series now with a Food Safari Water theme, exploring both fresh water and saltwater fish. This season will air on Wednesday nights instead of the traditional Thursday slot. SBS Director of Television and Online Content, Marshall Heald, said: “We’re thrilled to be bringing back one of Australia’s most iconic food programmes. Food Safari Water is a visual delight featuring world-class chefs and the best cooks of multicultural Australia. “Fear of fish can afflict even the most confident cook. Food Safari Water presents seafood via practical, healthy recipes that are approachable and attainable. Whether it’s showcasing recipes that have been handed down over generations or multicultural dishes with a twist using local ingredients, Maeve O’Meara is the perfect tour guide for this flavourful voyage to some of our country’s most beautiful destinations. Maeve O’Meara added, “Our research showed a vast number of seafood recipes across the cuisines of the world but putting the episodes together and seeing the stories and the dishes come together gave us goosebumps – this is one of our very best Food Safari series! Wednesdays at 8.00pm on SBS from 1 August. I’ve very much enjoyed Food Safari over the years, and I bought the first 4 seasons on DVD. But being a seafood lover, I am really looking forward to Food Safari Water. Yum!